I'm on 1P families, have the iOS on iphone & ipad, have installed the Windows 10 version (beta) including the beta chrome extension (including the helper). I thought it was possible to add attachments (i.e. pdf's, etc) to entries in 1P - but can't find anywhere to do it. Can someone point me to where it is? Is it possible to attach files to other entries than "Document" ? Hi @rr4242 - You're very welcome! I'm happy to hear that helped. Are you referring to linking a document to another item? 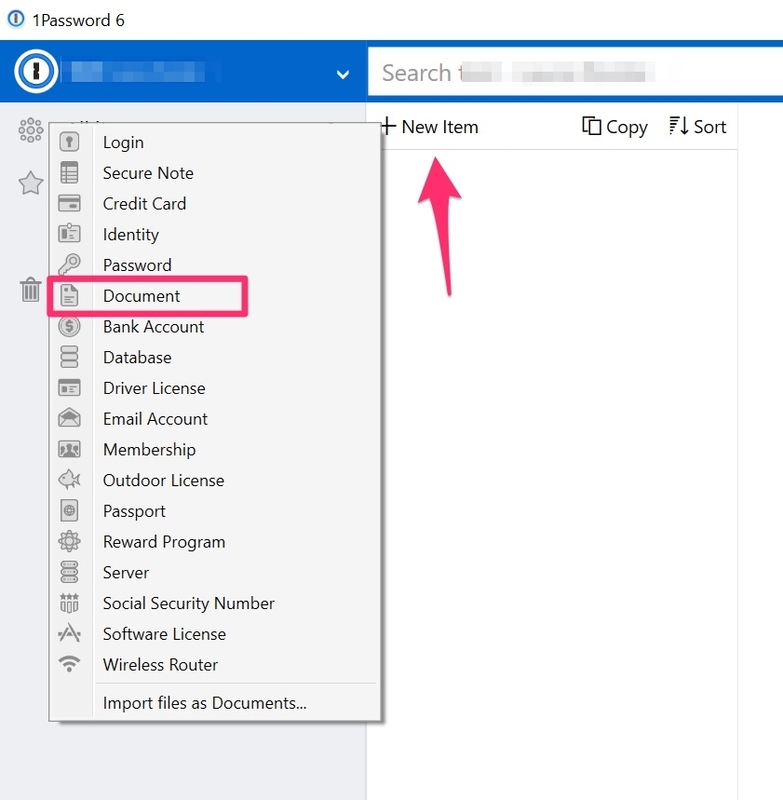 If so, this is not possible to do using 1Password on Windows as of right now. Thank you for letting me know this is a feature you would like to see implemented. I will make sure to share your request with the team. Keep me posted if you have any additional questions. I have been using 1Password4 and I can attach attacthment to secure notes. But after I "UPgraded" to 1Password 6. Attachements are LOST!!! THEY ARE SO IMPORTANT. I am very sorry and hope not to upgrade now. Hi, I would also like to see the possibility to add attachment to other types than documents. Hi @Frank_TZE - Sorry for the confusion. With a 1Password membership, we have moved all your attachments to a single location. All your attachments now live under the "Document" category which makes it easier to locate everything in a single location. Let us know if you have any additional questions and we'll be happy to help out. Hi @mbrustad - Great question and I appreciate the feature request. This is definitely something I would love to see personally as well. If you're using 1Password on a Mac, you can link documents to login items. Linked items don't currently sync across platforms in addition to the web app. It's definitely something we want to improve upon and hopefully implement in the future.